To the sound of sewing machines thumping and Michael Jackson’s crooning, women busied themselves around a conference room, trading sewing supplies with advice and questions. Seamstresses shuffled in between tables with measuring tape, fabric and pins. Incessant chatter filled the spaces between the songs. A woman mentioned her love of turbans since the chemotherapy took her hair. A signature event for Fashion Fights Cancer involves much more than most cancer treatment support groups: high-end designers, hands-on leaning and no forced, mapped out conversations on any member’s health. Fashion Fights Cancer, founded in 2004, works to provide therapeutic programs for both cancer patients and for those in remission. By combining an outlet for creativity with access to professionals, the group works to give members a positive activity to focus on throughout the stresses of fighting cancer. While creating fashionable clothing and accessories, the organization organically creates a support system for those touched by cancer. Though there is no structured, cancer-focused conversation, there is no large elephant in the room. Members have respite from their daily struggles, while forming relationships with those who are going through a situation not unlike their own. 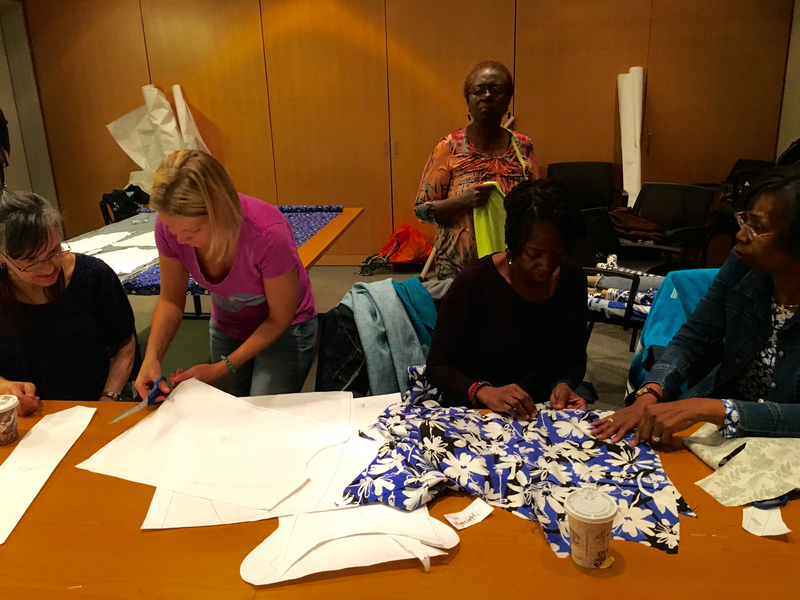 In Fashion Fights Cancer, group members come because of their interest in fashion and sewing, but they stay for the connections they are making among others dealing with various types cancer. While the organization’s signature events are scheduled about every six weeks, with other photography and merchandising events mixed in, many of the group members meet outside of class. Though many of the group members meet outside of class, or are involved in other support groups, Fashion Fights Cancer creates a space to look at life beyond illness. It doesn’t ignore or spotlight the issue. Instead, it highlights the humanity of those suffering from cancer and allows them to have a little bit of fun.